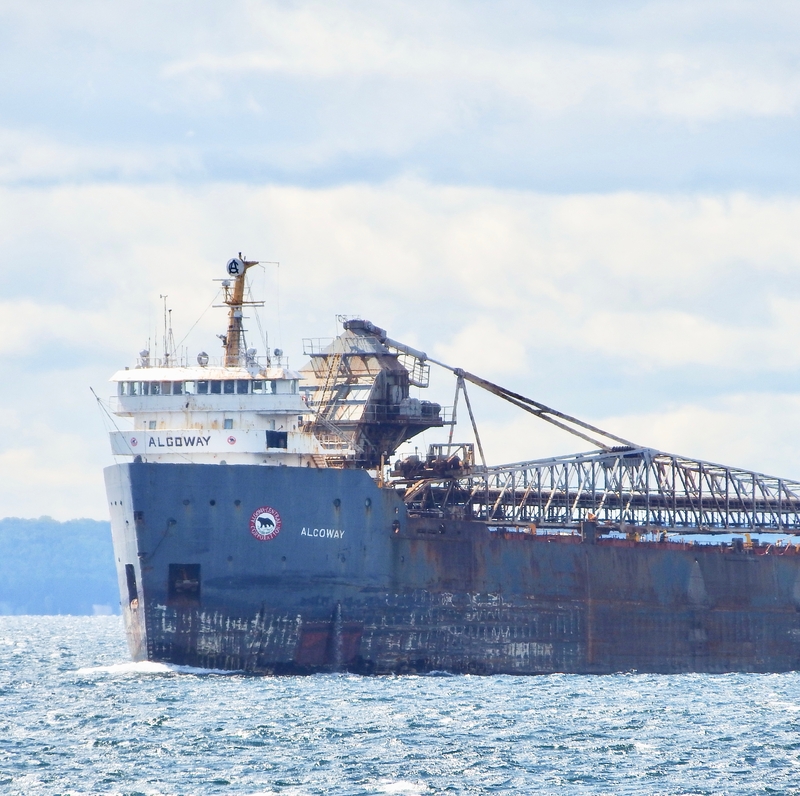 She was still self-propelled and earning cargo credit in September 5, 2017, when I saw her near Mackinac Island . 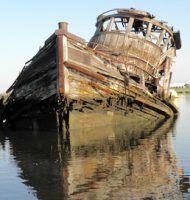 . .
allowing me a close-up of her oxidation. tail steering provided by the iconic Cheyenne. Many thanks to Fred for the last two photos. All others by Will Van Dorp. was built in Balboa, Panama in 1936!! 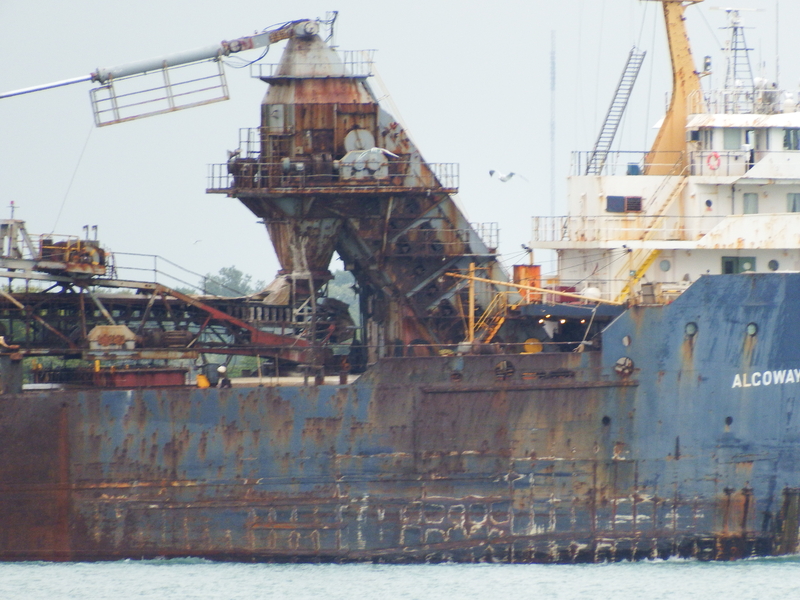 Algoway‘s keel was laid in 1972 in Collingwood, and she’s headed out for scrapping in Turkey. 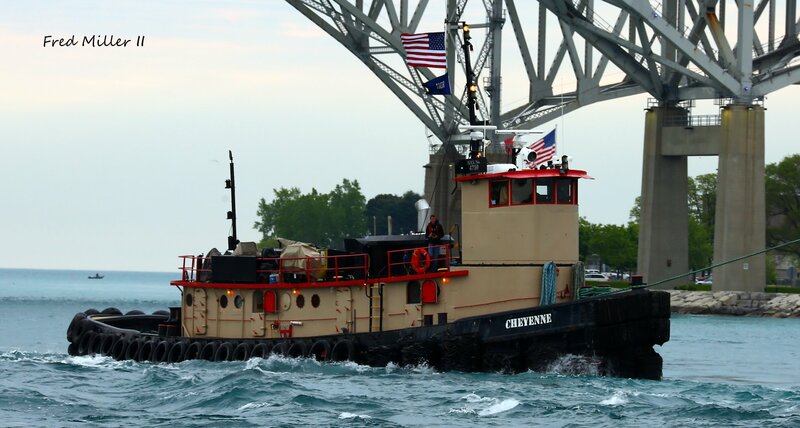 Cheyenne has appeared on this blog many, many times, most recently after I caught her in the Oswego River in September 2017 as she headed for Detroit. 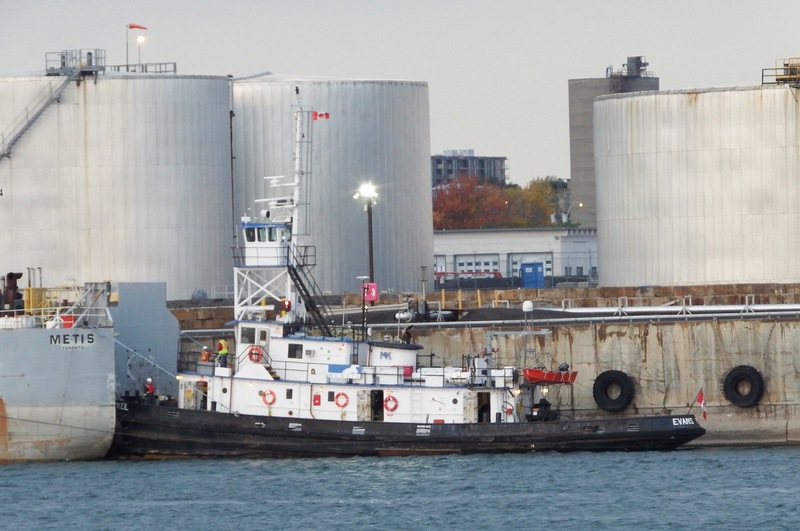 Is the Evans McKeil taking her to Turkey or will a foreign tug take over the tow somewhere on the St. Lawrence? Sad to see these old ships getting scrapped but I guess it’s progress. I don’t have info n the tug that’ll tow it across, but my guess it that it would be a foreign ocean-going tug. At this moment, Algolake is being towed to Aliaga, Turkey by Diavlos Force, a Russian-flagged boat. http://www.shipspotting.com/gallery/photo.php?lid=2355138 I’ve no doubt the St Lawrence Seaway Ship Watchers FB group will be commenting on the tow when it gets farther downstream. 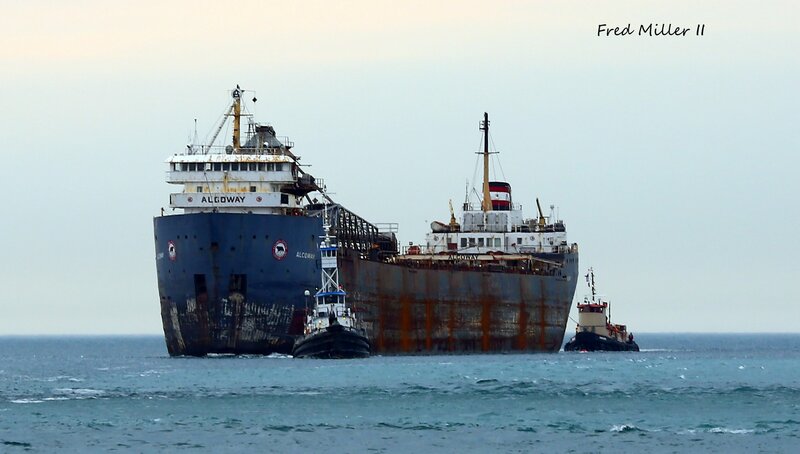 I believe the Algoway is to be broken up at Port Colborne by IMS. Hi William– You are correct . . . Port Colbourne. So I’ll get to see her this August and again September . . .